The 19th Edition of the International Symposium on Intercalation Compounds (ISIC19) will focus on the peculiar properties of intercalation materials. These solids have experienced a great development in recent years and represent now an established specific domain of solid-state research and materials sciences. The design and the characterization of intercalation compounds with advanced functional properties demands interdisciplinary competency in fields such as chemistry, solid-state physics and biology. This Symposium offers a unique opportunity for the Intercalation Compounds Community to bring together information, results and ideas that will stimulate further exploration in the field of intercalation compounds. 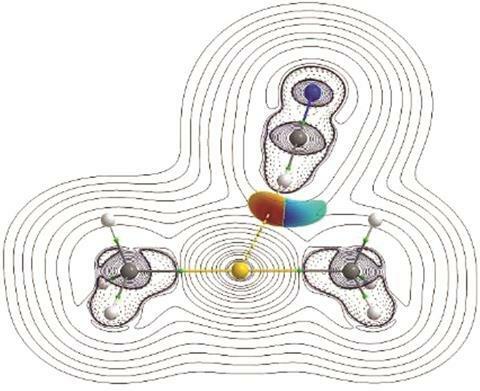 Gold has surprised chemists by showing that a formally positively charged Au(I) ion can be a hydrogen bond acceptor.1 This discovery challenges the traditional view that hydrogen bond acceptors are negatively charged. Catharine Esterhuysen and her colleagues at the University of Stellenbosch, South Africa, used theoretical calculations to study how dimethylaurate interacted with six hydrogen bond donors including HF, HCN and NH3.This study expands their previous work showing that Au(I) can be a hydrogen bond acceptor for water.2 Strong or moderate hydrogen bonds were found for five of the pairs. As expected, the Au(I)···H–X bonds were weaker than those formed with the negative auride ion, but surprisingly the bonds with HF and HCN were more stabilising than their analogues with [(CO)4Co] –, which contains a negatively charged Co– centre. The original article can be read below and is free to access until 27th April 2017. The 16th International Meeting on Boron Chemistry (IMEBORON XVI) will be held during 9-13 July, 2017 in Hong Kong. This meeting will provide an international forum for presentation and discussion, among both professionals and students alike, of new findings in all aspects of boron chemistry: including inorganic and cluster boron chemistry, organic and bioorganic boron chemistry, boron in materials and boron in medicine. The meeting aims to strengthen and broaden interactions and collaborative research among researchers worldwide. The 5-day event will include plenary, keynote, and invited lectures, as well as oral and poster presentations. The meeting is also accompanied with social activities like receptions, conference banquet and guided tours to allow participants to experience the unique fusion of East and West culture of the vibrant cosmopolitan city at the heart of South-East Asia. You are currently browsing the Dalton Transactions Blog blog archives for March, 2017.